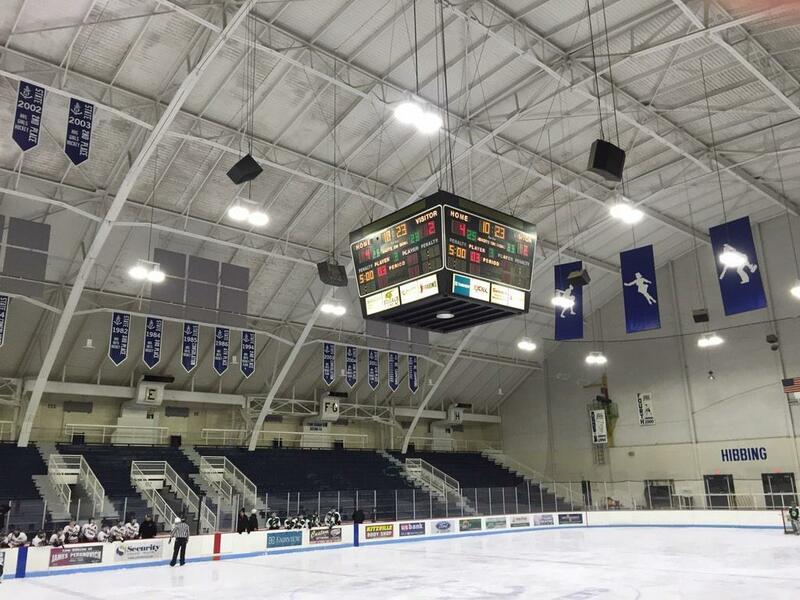 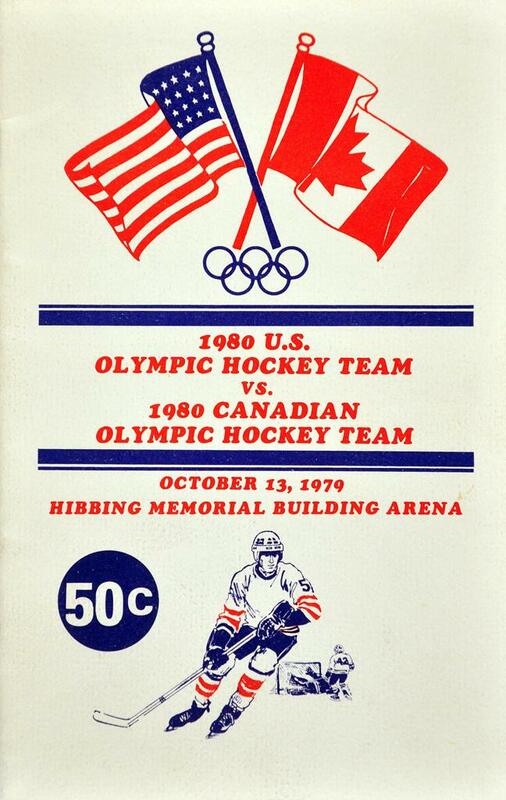 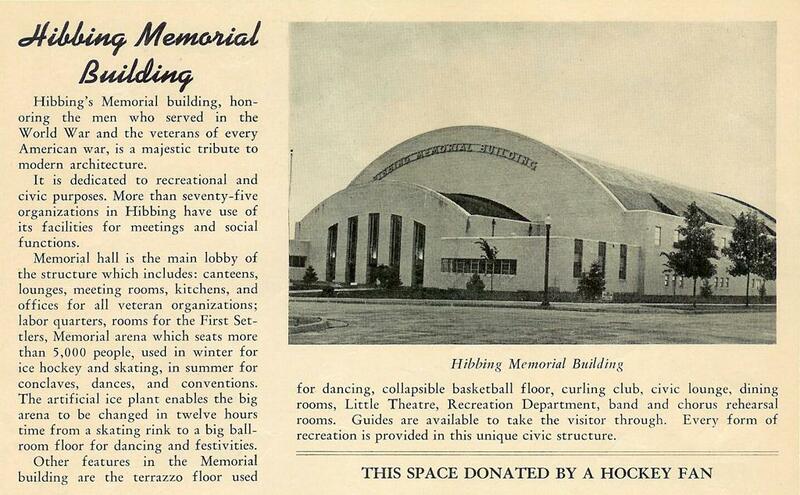 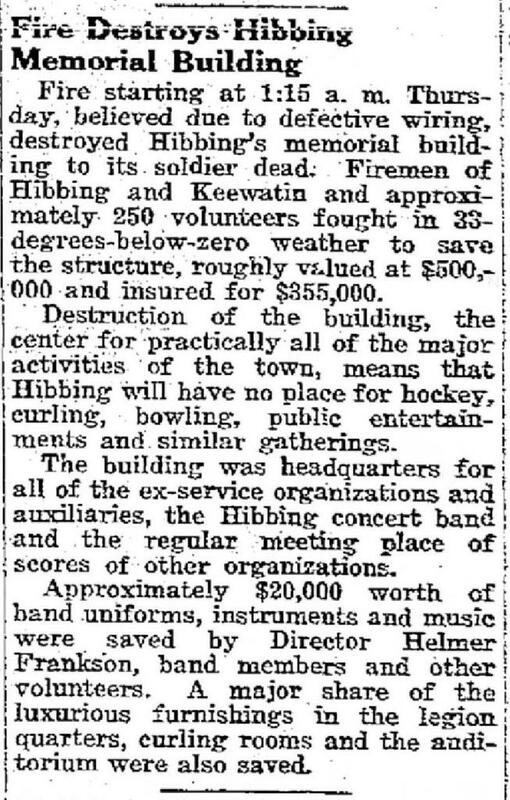 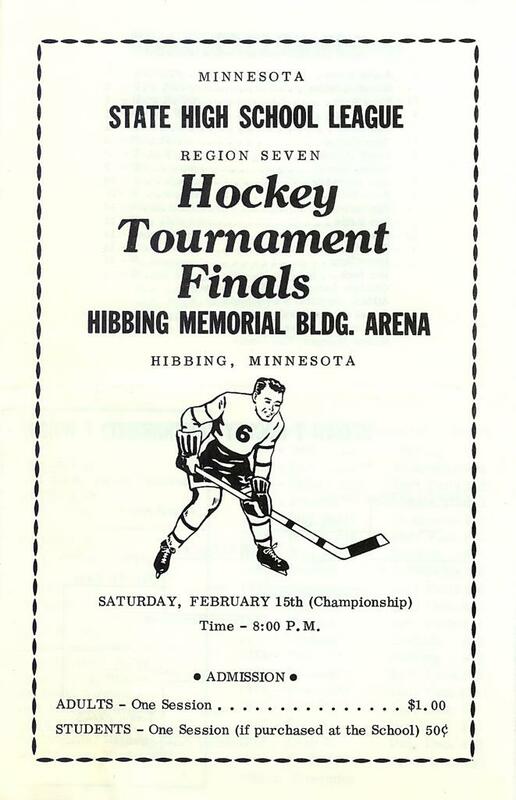 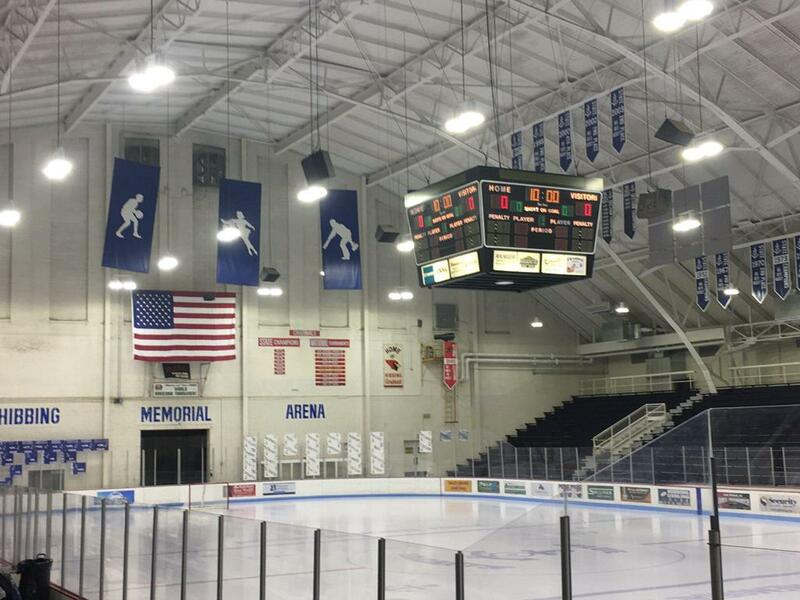 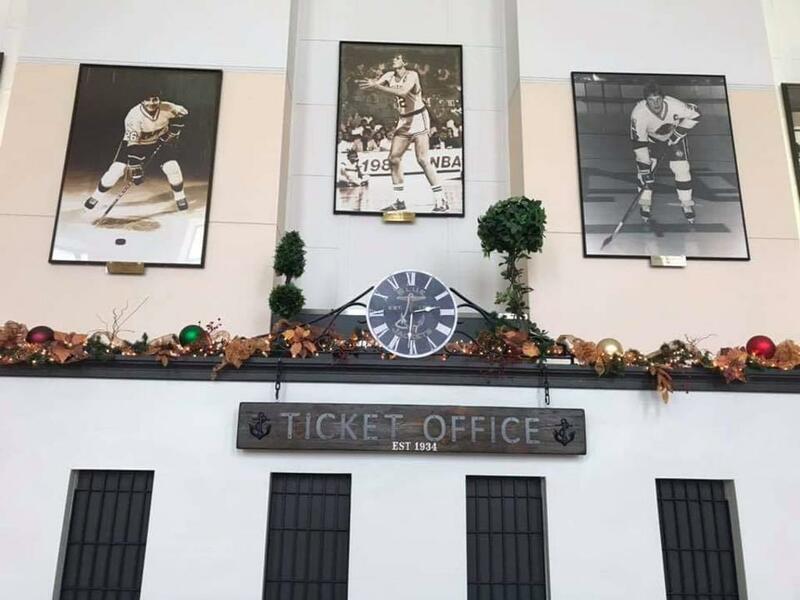 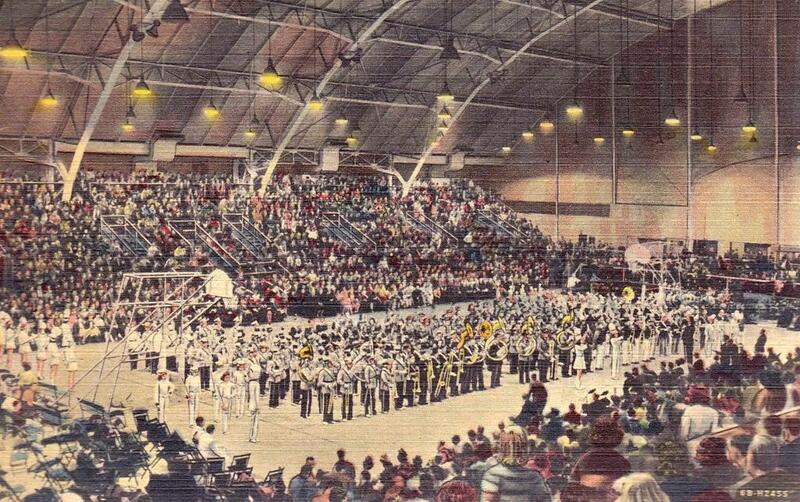 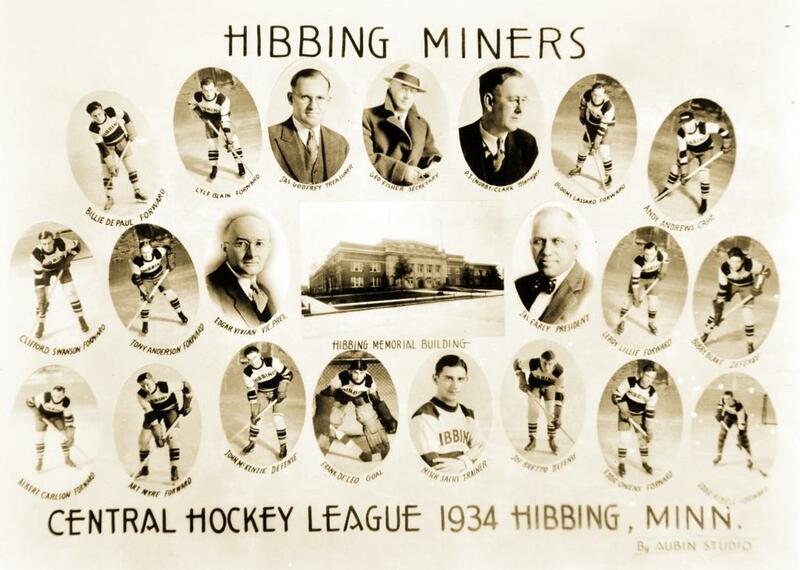 The Hibbing Memorial Arena Entertainment Center, designated for recreational and civic use, was initially built in 1925 and called the Hibbing Recreation Building, and was dedicated to World War I veterans. 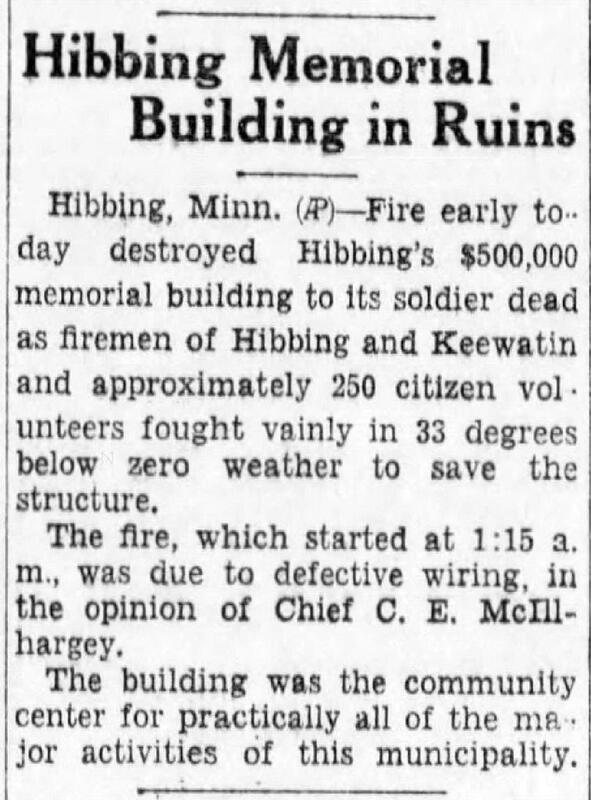 On December 28, 1933 a fire completely destroyed the building, which started at 1:15 a.m. that was later found out to be due to defective wiring. 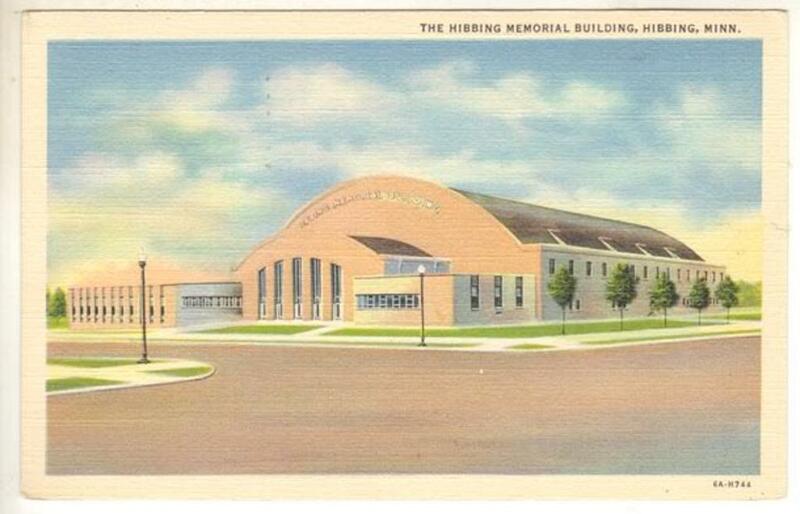 The building was rebuilt and completed in 1935, in the exact location of the original arena in Hibbing Minnesota for the Hibbing Blue Jackets hockey team, and other city municipal events. 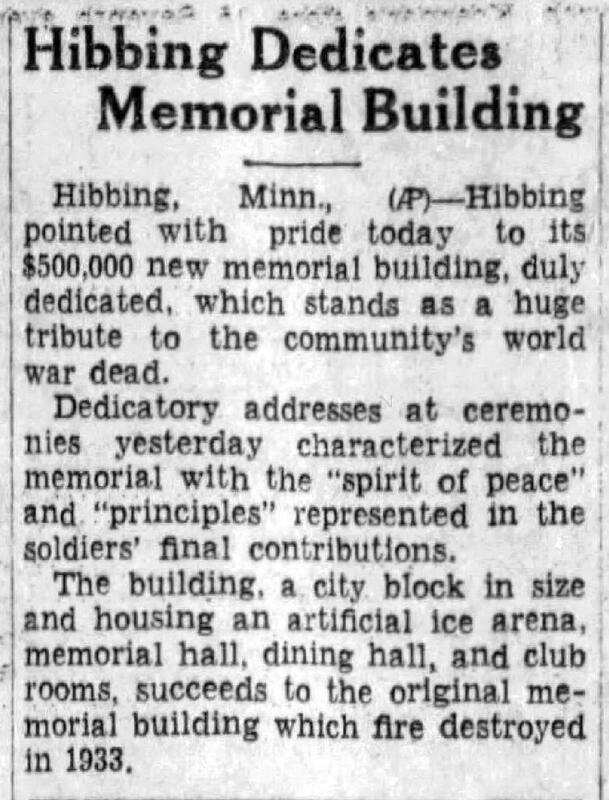 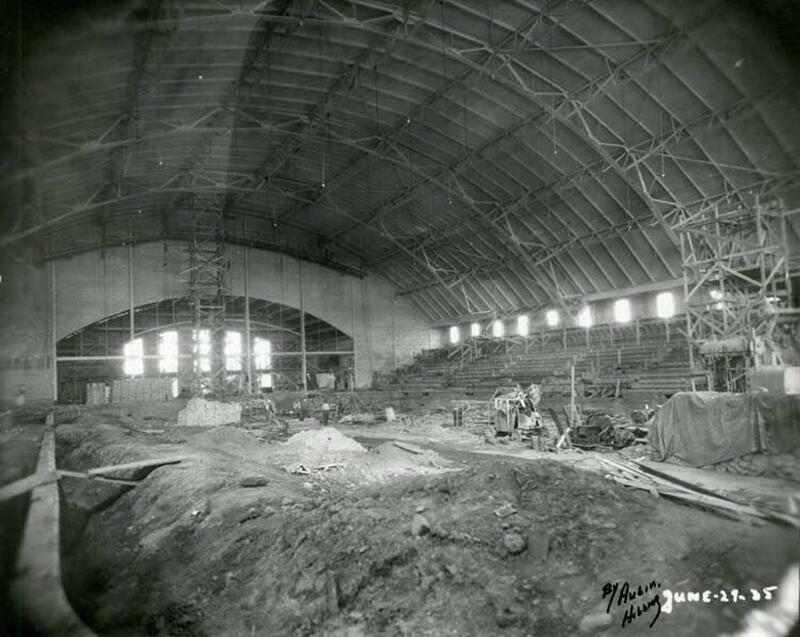 The new Memorial Arena opened on December 2, 1935 and was re-dedicated to World War I veterans on November 20, 1935 becoming the first "iron range" ice arena to open with artificial ice, vs. others with natural ice. 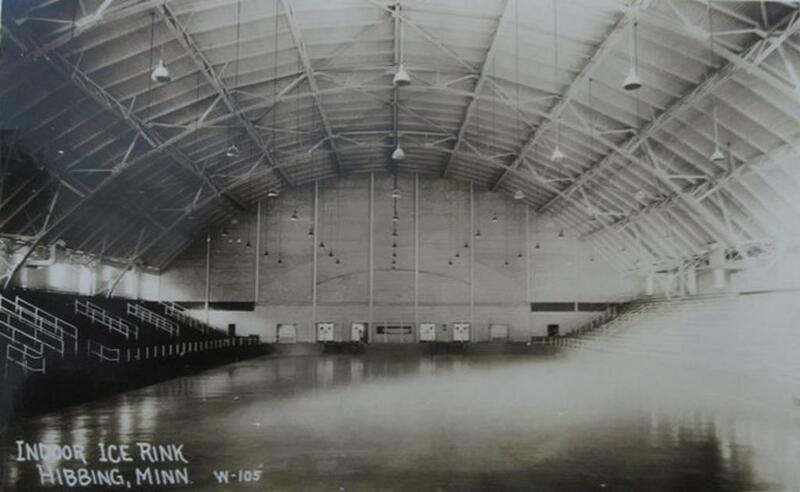 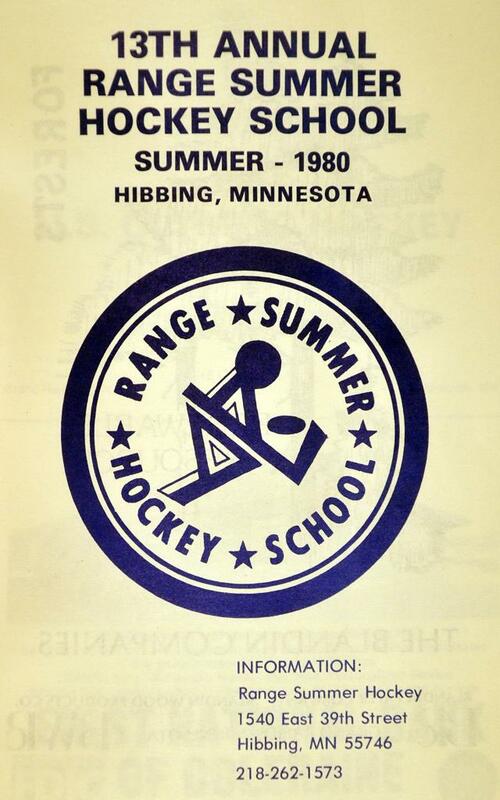 The centrally located rink - to the city of Hibbing and its surrounding communities - was used by the NHL's Chicago Blackhawks for their training camps on six occasions in the late 1930's and 1940's. 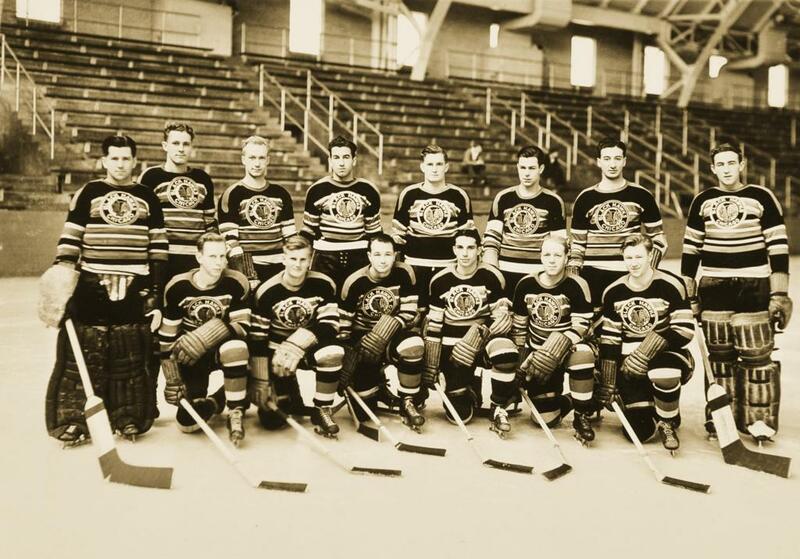 The arrival of the professional Hawks brought nationwide attention from many to this range "Dylan" community. 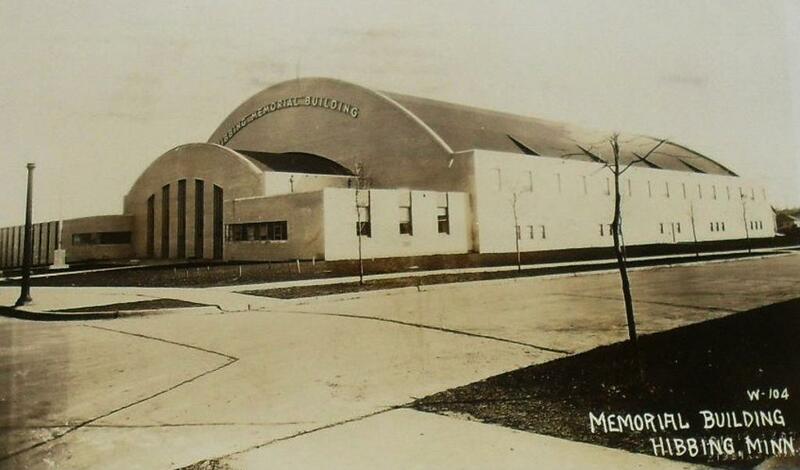 Ironically, many years later the Chicago Cougars of the newly formed WHA league also utilized the Memorial Arena for their training camp in the late 1970's. 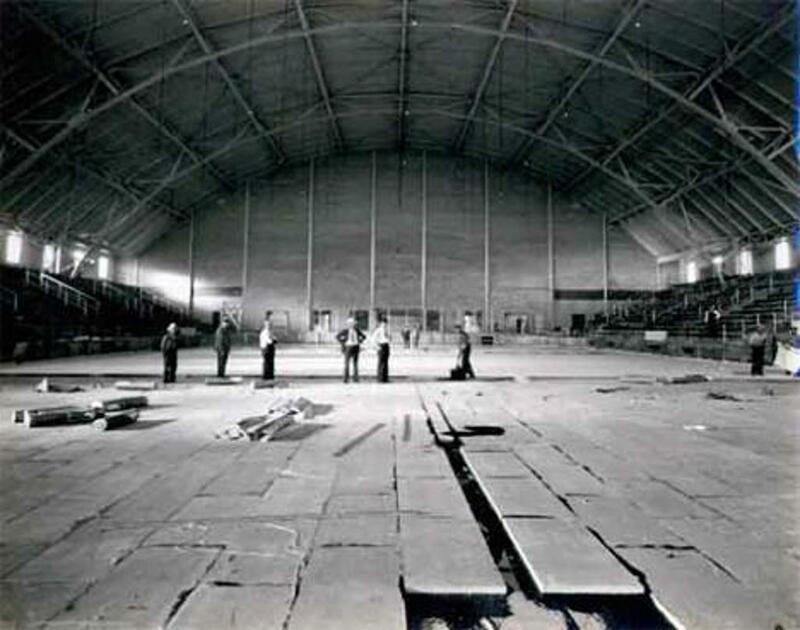 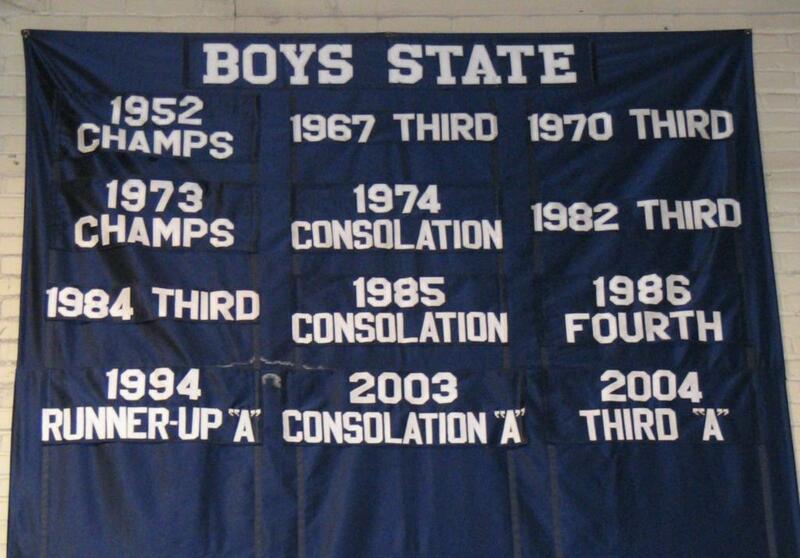 The arena is dedicated to the war veterans and the general public of the western Iron Range. 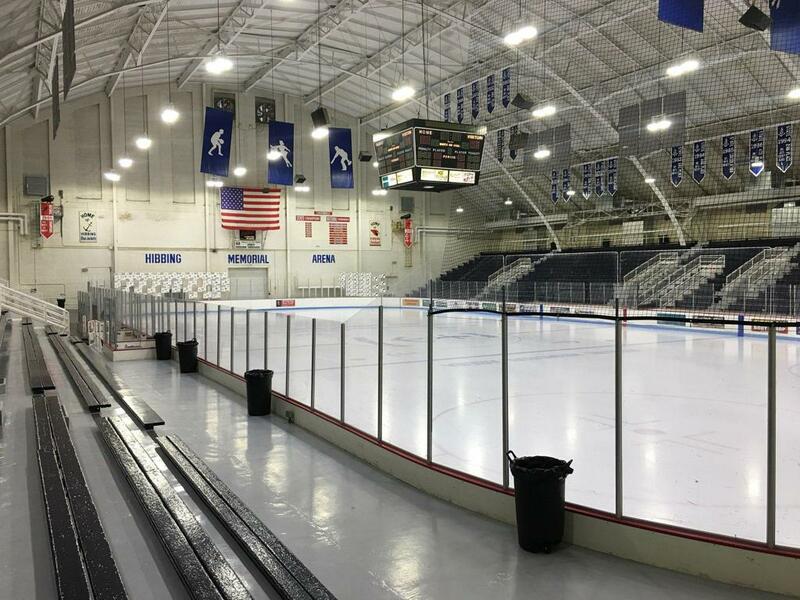 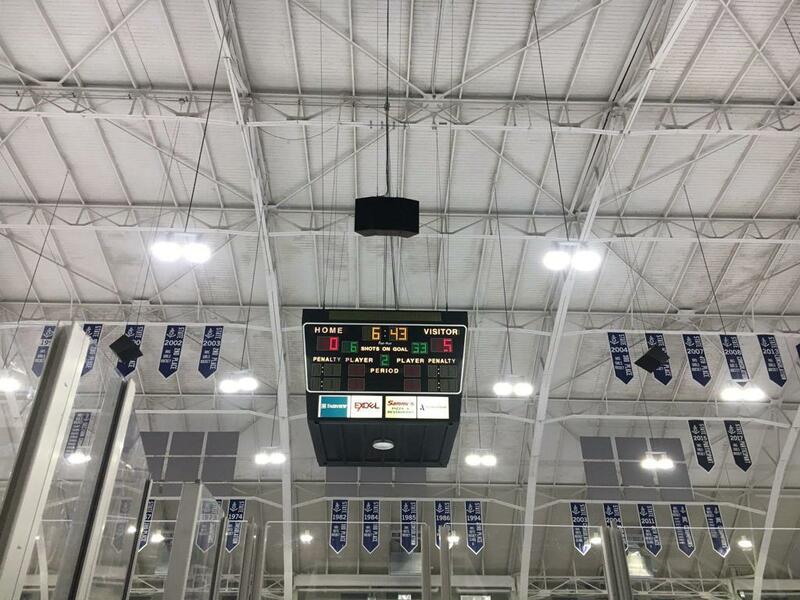 The classic Memorial arena has 3,460 permanent seats with standing room for 1,000 more bringing the total arena occupancy level to 4,460 local "Jackets" faithfuls. 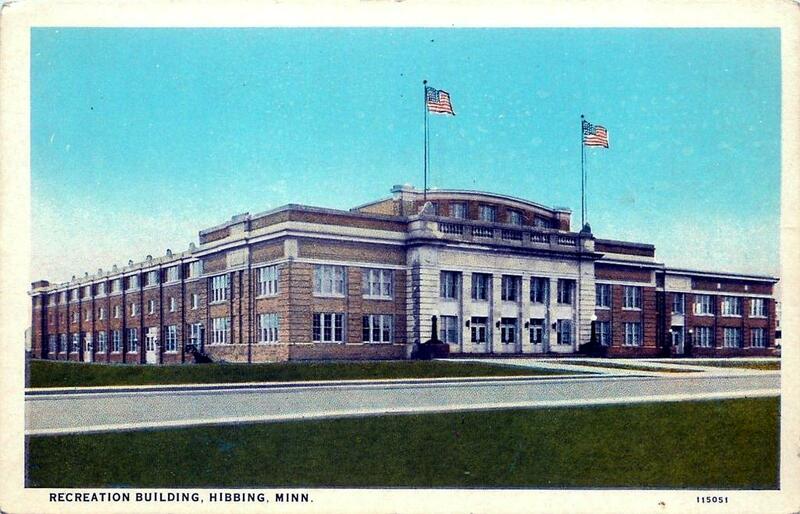 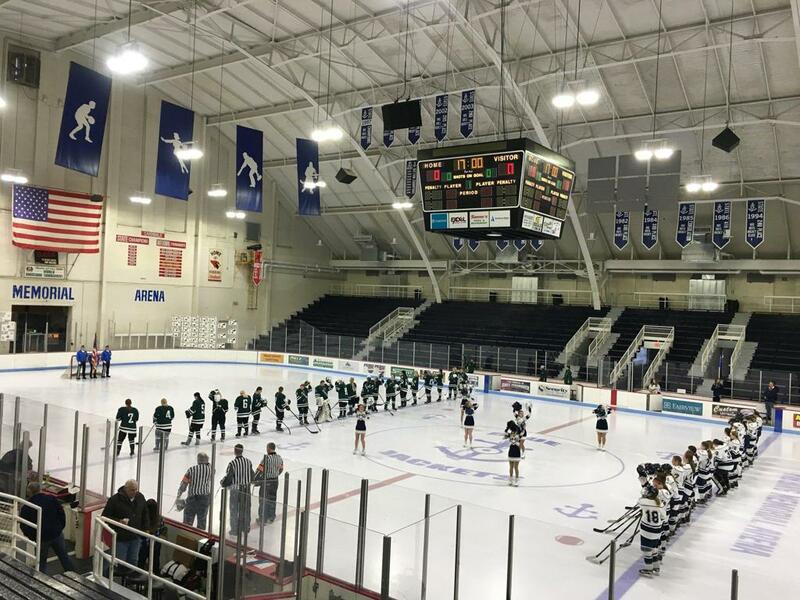 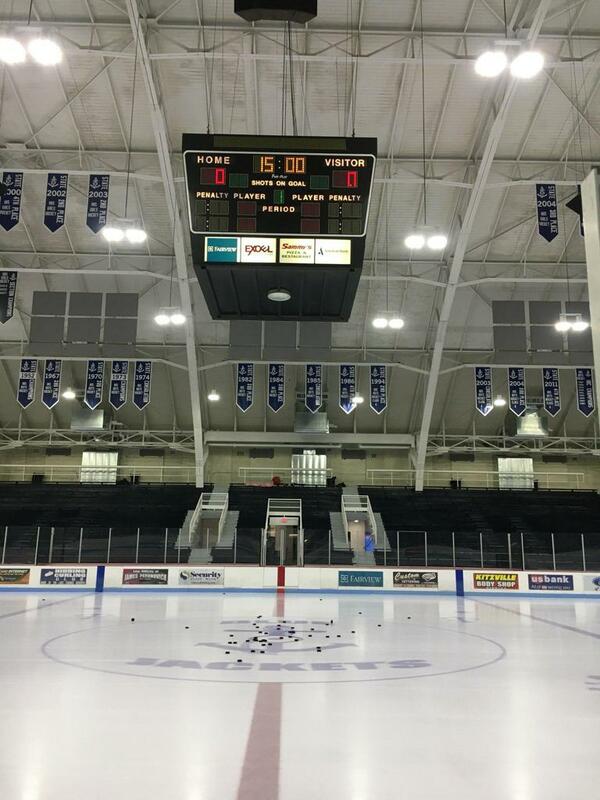 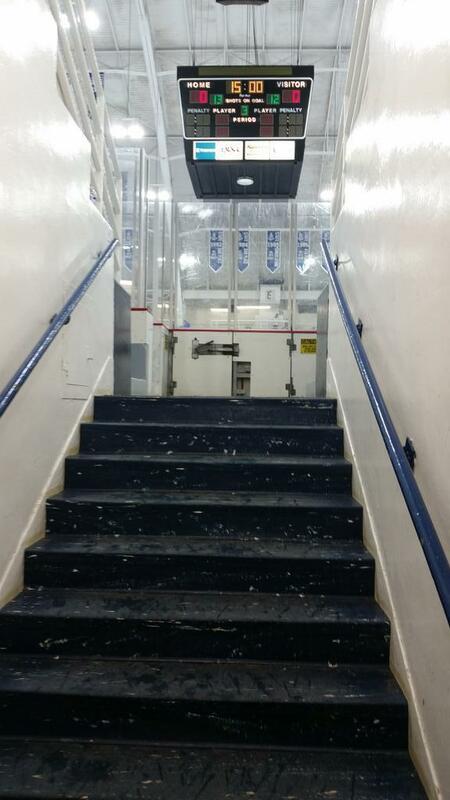 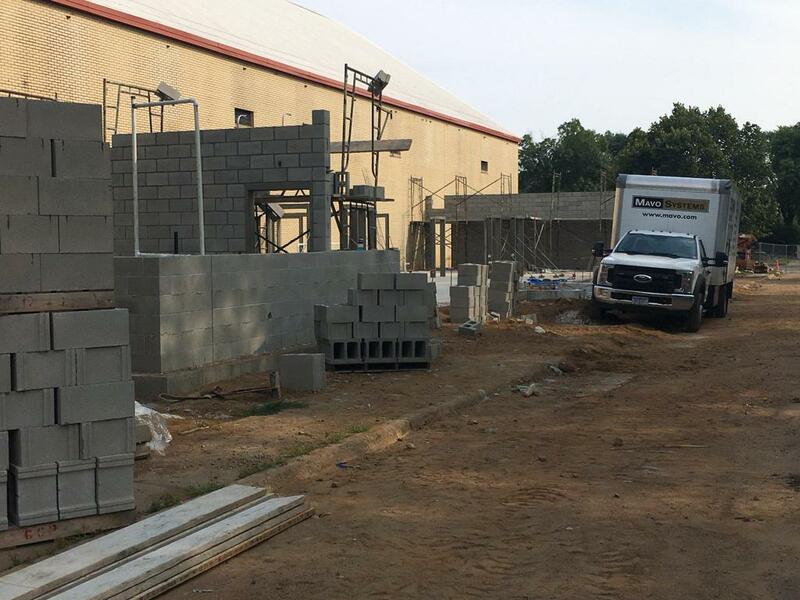 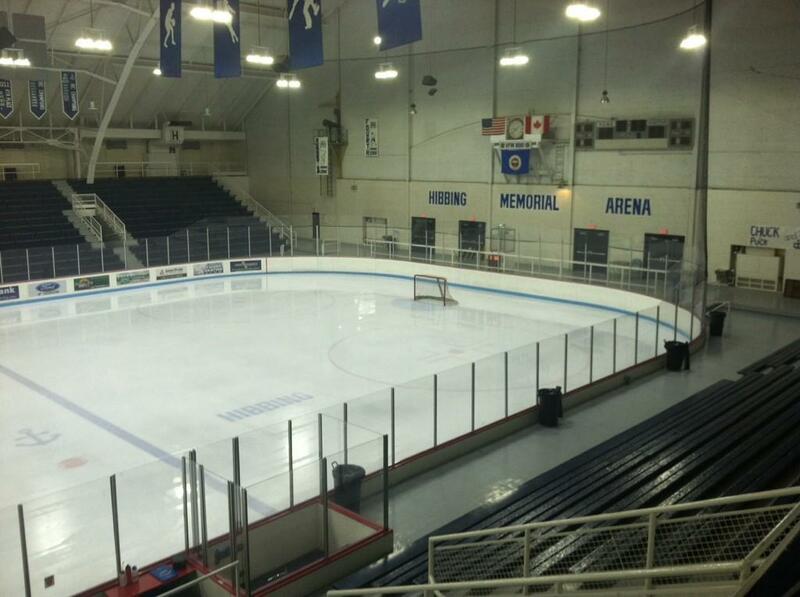 The Hibbing Memorial Building houses 1 ice sheet capable of meeting Hibbings youth hockey programs and the Blue Jackets high school teams needs during the hockey season. 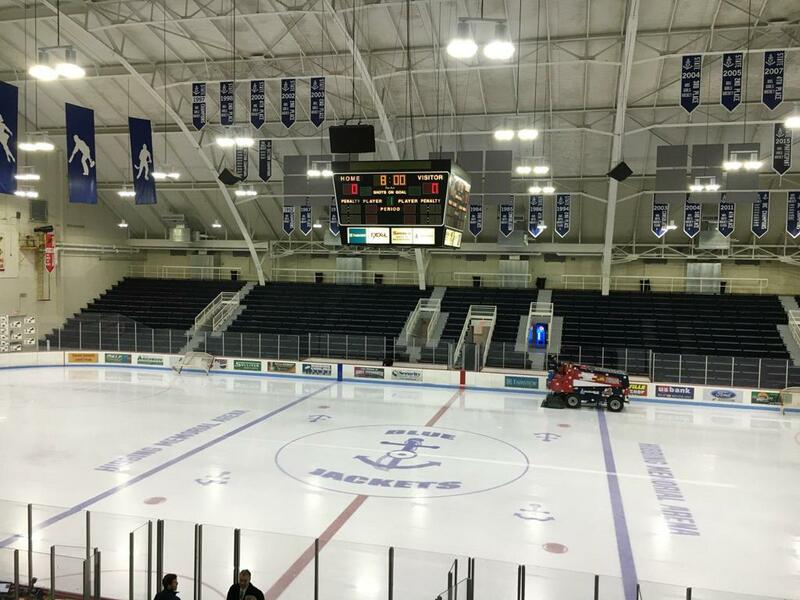 Measuring at 200 feet x 90 feet, and perfected by a lower level modern ice plant the Hibbing arena is capable of handling the rinks needs. 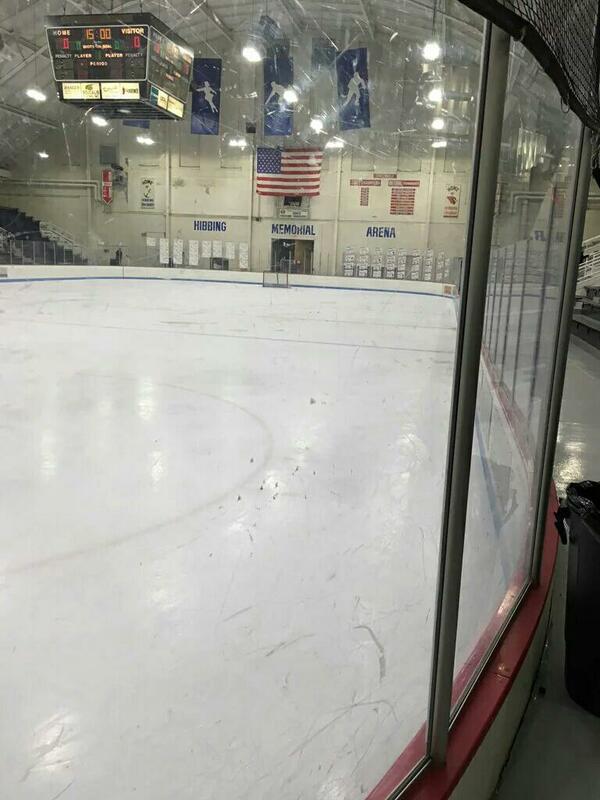 New flooring, sideboards, and plexi-glass were recently added to transform the arena into a world-class hockey rink/curling club.